Across the globe, She’s the First mobilizes students and young professionals to join the movement for gender equality. Members of STF Campus Chapters work together with STF Scholars around the world to learn about issues affecting women and girls globally. Our local partner organizations connect with STF and each other in a knowledge-sharing network that makes them more powerful than any single one could be alone. And each and every day, donors like you lend their support to ensure the movement doesn’t stop until every girl, everywhere, graduates with a degree that gets her where she wants to go. equipped with schooling, mentorship, and all the tools they need to be community change-makers. started by people selling tie-dye cupcakes, running marathons, and using their creativity in all sorts of ways. Start your own! across the U.S. and beyond, linked by a program that focuses on leadership, community engagement, and global citizenship. STF Scholars and Students are best in class. Explore by country to meet some of them! Originally from a shantytown in Ethiopia, Sintayehu forged a new life for herself, moving to the Selamta Family Project at age 12. Now, she shares her story as she revisits her old life. STF Scholar Tizita Hagare recently made her debut as the lead actress in the 2015 award-winning movie Difret, produced by Angelina Jolie! Watch the award-winning film on Netflix or Amazon. Maheshwari grew up in a family of quarry workers in rural India, none of whom received schooling past the eighth grade. Today, she’s the highest educated scholar in She’s the First’s history, with a Master’s degree in genetics. She works as a neurotechnologist, helping to save lives every day in Chennai’s busy hospital. Watch the short film, then watch her journey to graduation. STF Scholars (and graduates!) Preetha, Manjula, Thenmozhi, and Shilpa were once part of India's untouchable caste and previously denied education. This 4-part series, shot over seven years, follows these Scholars at STF Partner Shanti Bhavan as they fight generational barriers and aim to break the cycle of poverty. 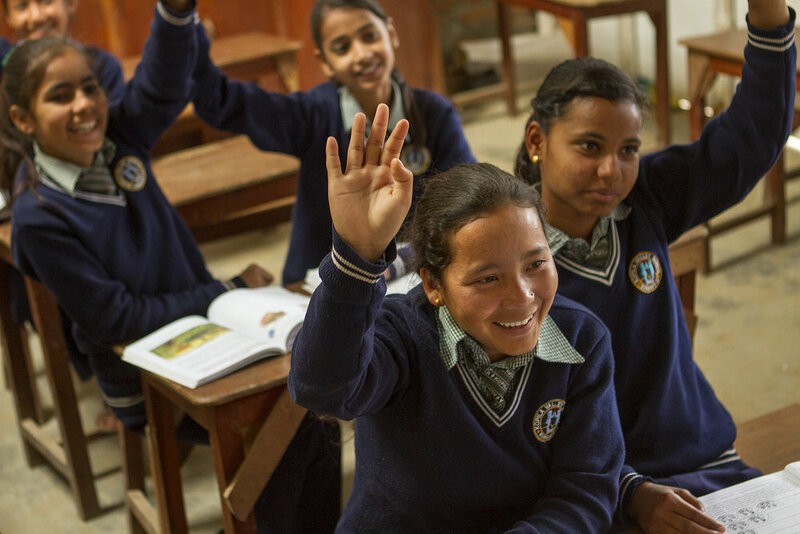 In this episode of “Get Schooled,” Glamour’s series on the lives of girls around the world, STF Scholar Keerthi brings you with her to show how her education has already changed her life. Despite being on opposite sides of the globe, graduated STF Scholar Janani in India & STF Campus Chapter leader Azanique from East Carolina University have more in common than not—thanks to their education. Listen to the rest of the poem. Equality matters to STF Scholars Jharana and Sirjana. In 2014, they organized the first 5k race in Surket, Nepal to get their community talking about why women must be educated and treated equally. Meet Roshni, an STF Scholar from Nepal whose life was transformed by the opportunity to study at the Kopila Valley School. Learn about how education helped her achieve gender equality in her family. Watch the video created by Brittany Brothers and Brianne Riviello. STF Scholars embarked on an 8-hour trip to complete a service project and be role models to younger students in a remote Andean community. STF Scholar Elizabeth shares a day in her life, living in dormitories and going to school in Peru, through our partner program, the Sacred Valley Project. Have you ever woken up with a business idea that you just knew would change everything? Fatou has. This is her story—the story of what happens when you give a student the skills she needs to achieve her most audacious goals. STF Scholars in Uganda want to know: Are not there heights a girl can reach when given the chance? Led by 2017 Mentor Breakfast honoree Esther, their poem and performance highlight the importance of their education. Watch the performance and read the lyrics. "During my sophomore year of college, I, along with a group of friends, established the STF chapter at my university. I led the chapter as President for the first 2 years, establishing our first Bake-A-Change and Sweat For STF Fundraisers, putting on a Local-Education Awareness week, and crafting an annual Summit for local Rochester girls. This year, I am thrilled to take on the role of Senior Advisor, as I'll be working for a firm in New York City after graduation. I am excited to continue working with STF through the Young Professional's Network!" "When I joined She’s The First at East Carolina, my life changed forever. I realized that my voice had the power to be part of a mission that was far bigger than anything I could have ever imagine. Diving headfirst into campus leadership, I learned to stop questioning what others were doing and instead ask, 'Why not me?'" 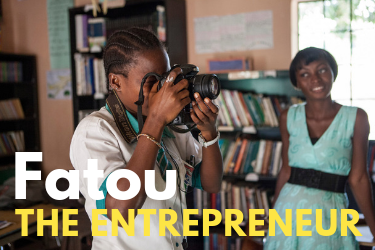 Hear from Azanique on how education has shaped her life. "I've been involved with She's the First in many ways. I started as an intern, co-founded the Rutgers chapter of She's the First, served on the Alumni Board, and now I'm a Chapter Liaison for the DC Metro Area! She's the First was the initial spark that fueled my interest and passion for girls' education - which is now my focus of study in graduate school!"